Room to roam, but close enough for easy commute. 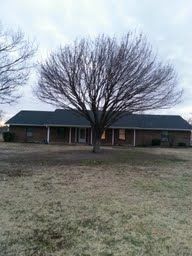 Great horse property with spacious 2628 sq ft ranch style home, covered patio, on 2 acres with nice 5 stall horse barn. House has functional floorplan with 4 bedroom,2 Baths,2 living areas, 2 dining areas. Woodburning Firplace with Heatilator in Family Room adds energy efficiency. Tile and laminate floors in common areas for easy cleanup. Fresh paint. Includes French Door Fridge. Quality Barn contains 5 sturdy stalls for horses, 2 tack or storage stalls and a wash stall. There is a large chicken coop attached outside to the barn. Plenty of paved parking for vehicles, trailers and an RV.